This CHARM IT! Raccoon charm is oh-so-adorable with its 3-dimensional, two-tone gray enamel body and black enamel mask and sweet face. 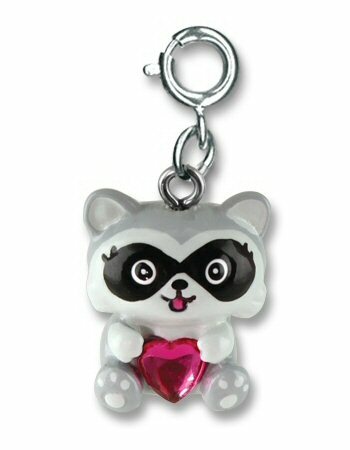 Holding a sparkly pink heart, this raccoon charm will steal the heart of your CHARM IT! girl as she adds fun and personality to her charm bracelet and jewelry. With a simple snap of a clasp, girls can personalize their CHARM IT! jewelry with this adorable CHARM IT! raccoon charm.